A 1960s TV series that featured a mother reincarnated as a talking car was played for laughs. But when your own car starts making unexpected sounds, it can be annoying, confusing or even frightening. Should you ignore a car noise and hope it goes away, as they sometimes do? Rush to a mechanic? Or do something in between? • Hissing or sizzling from under the hood. This usually indicates that a fluid—most likely oil or coolant—is leaking onto a hot piece of metal, such as the engine or exhaust manifold, and being vaporized by the heat. You’re most likely to hear this immediately after parking and turning off the engine because it usually is not loud enough to be heard over engine and road noise. What to do: Immediately after turning off the engine, open the hood and look for smoke or steam—that’s the easiest way to track down the leak. The leak either is very near the smoke or above it, where the fluid can drip down. If you don’t see this, listen closely for the precise spot where the sound is coming from and look near and immediately above this. Meanwhile, use your nose to figure out what fluid is leaking. Burning oil smells acrid…burning coolant smells sweet. If oil or coolant (or window-washer fluid or any other fluid) was added to the car within the past few days, there might not be any problem—a small amount of that fluid might have splashed when it was poured in. This will soon burn away, and the hissing or sizzling sound will cease. Check the coolant and/or oil level. If either is below the marked minimum, add more before driving the vehicle any farther. Warning: If the car has been driven recently, let it cool for at least 15 minutes before opening the radiator cap to avoid steam burns. 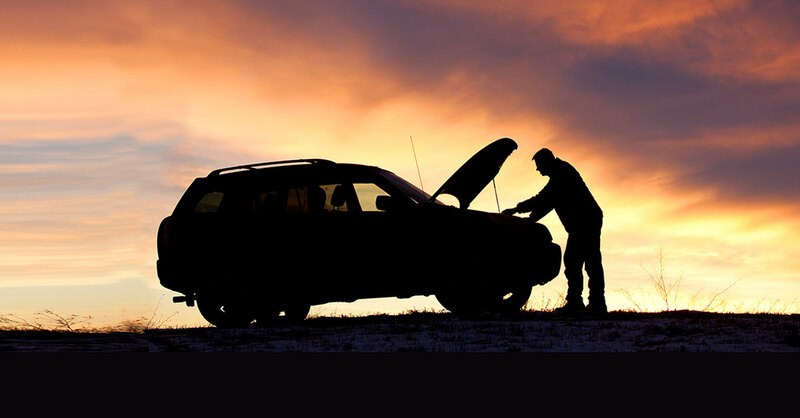 If fluid was not very recently added, however, take the car to a mechanic soon. An oil or coolant leak could ruin your engine if the fluid level gets very low. Oil leaking onto hot metal parts also creates a fire risk. Newer cars have EPDM belts, which are made from a longer-lasting type of rubber. (If you’re not sure what kind of belts you have, check with your car dealership or in your owner’s manual.) These are less likely to show visible signs that they need to be replaced, and spraying belt dressing on EPDM belts can damage them. When you hear squealing from the belt of a car made since 2000, the best bet is to check its recommended service schedule in the owner’s manual to see if a belt is due for replacement. 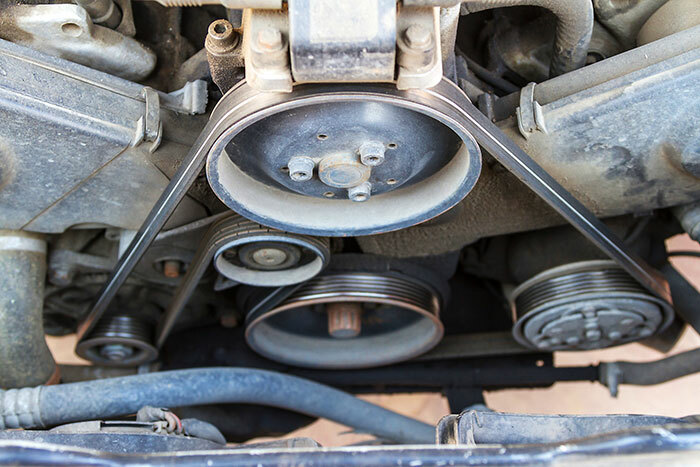 If the belt isn’t due for replacement—or you replace the belt and the squealing continues—something else could be causing the noise, such as a misaligned pulley or a bad bearing, and it’s probably worth taking the car to a mechanic. Some car owners can replace worn belts on their own, but it can be a frustrating chore. For most people, it’s well worth paying a mechanic $100 to $200. • Rattle under the car. A part likely has come loose—but which part? Usually it’s something that’s easy to fix, such as a piece of the thin metal “heat ­shielding” that surrounds the exhaust pipe and other parts located under the car that get hot. But sometimes a rattle is something potentially serious such as a loose ball joint or tie rod—and if one of these steering components failed entirely, you could lose control of the car. If you cannot locate the rattle, bring the car to a mechanic soon. There is some chance that something crucial for control, such as a steering or suspension part, is failing—and those failures are tough to pin down unless a car is up on a lift. • Clicking, clunking or popping sound from beneath the car when you turn the steering wheel. One or both of your outer constant-velocity joints might need to be replaced. Often called CV joints, these connect the transmission to the front wheels in a front- or all-wheel-drive car. What to do: Take the car to a mechanic promptly. If one of your CV joints failed completely, your car could become uncontrollable. Sometimes (but not always), when a CV joint is failing, at least one of your “boots”—the ringed rubber components that encase the axle right where it meets the inside of each front wheel—will be cracked or not securely connected to the inside of the wheel. It is easier to examine these boots if you turn the steering wheel completely to one side. Expect to pay perhaps $300 to $500 to have a CV joint replaced. Warning: If your mechanic tells you that you need to replace only the boot, not the entire CV joint, ask for a quote for replacing the entire joint, too. You’re likely to pay more for parts but less for labor if you replace the entire joint rather than just the boot, and your total bill is likely to be roughly the same either way. If there is no big price difference, replace the whole CV joint—when these boots fail, the CV joints they protect often sustain damage that might not be easily spotted but that could lead to additional problems down the road. • Squealing or grinding sound when you apply the brakes. It’s probably time for some sort of brake job. If you hear squealing, there’s a good chance that you need only new brake pads—the squeal is generally produced by “wear indicators,” small metal tabs designed to make this annoying noise to warn you that the pads are worn down. Exception: If your brakes squeal only when you first start to drive each day and not later on, the noise likely is just moisture on the brake pads and does not mean the car has a problem. If you hear grinding, your brake pads are completely worn out and metal components of the braking system now are pressing against each other when you brake, damaging your brake rotors (the discs that the brake pads grab in a disc brake system). There’s a good chance that in addition to needing new brake pads, you also will have to have your rotors “turned” (resurfaced) or replaced. What to do: Get them checked very soon—the longer you wait, the greater the odds that the cost of the brake job will jump from $150 to $300 per axle to replace brake pads to $400 to $600 or more per axle to replace both pads and rotors. *Repair prices can vary dramatically by vehicle and garage/dealership (new-car dealerships typically charge steeper rates). The prices cited in this article are average for most cars when taken to an independent garage.